#GoldTogether has inspired over one million dollars to be given to pediatric charities since 2014. In 2019 the #GoldTogether movement is partnering with the American Cancer Society to have a broader reach and greater impact. #GoldTogether is a movement birthed from the vision and positive energy of pediatric brain cancer survivor and Relay For Life volunteer, Cole Eicher. Cole’s dream is simple: let’s work together to have a greater impact, more options, and better outcomes for kids fighting cancer. The #GoldTogether for childhood cancer team started in St. Petersburg, Florida and grew to 6 teams in Florida in 2017 and 12 teams in the southeast in 2018. It has grown into a budding national movement over 120 #GoldTogether for childhood cancer created nationally in 2019 at Relay For Life events. All funds raised by these teams support childhood cancer research, support services and awareness, as well as , cancer prevention efforts targeting children. Participating is about more than raising money. It’s an opportunity for people that are passionate about childhood cancer to join a movement, share their stories and expand a network of support and empowerment. Relay for Life events are a way to connect all the people who support a child through their battle and the cause to come together in one place and celebrate, honor those we miss and empower children to raise their voices and share their journey. Change happens through action, not silence, and the more kids that have a platform to inspire, the faster better outcomes will become available. Want to make an impact and don’t live near an event? You can join a team virtually by signing up with any #GoldTogether team, make a direct donation or contact us to find out how you can create a team. Cole knows first hand what it is like to battle cancer at 12 and the onset of secondary cancer at 14. A youth voice asked for change and American Cancer Society listened. We plan to expand even further in 2020. The power of the youth voice can inspire action in a community and across the globe. Today is a new day and we have the power to create the change we want to see. 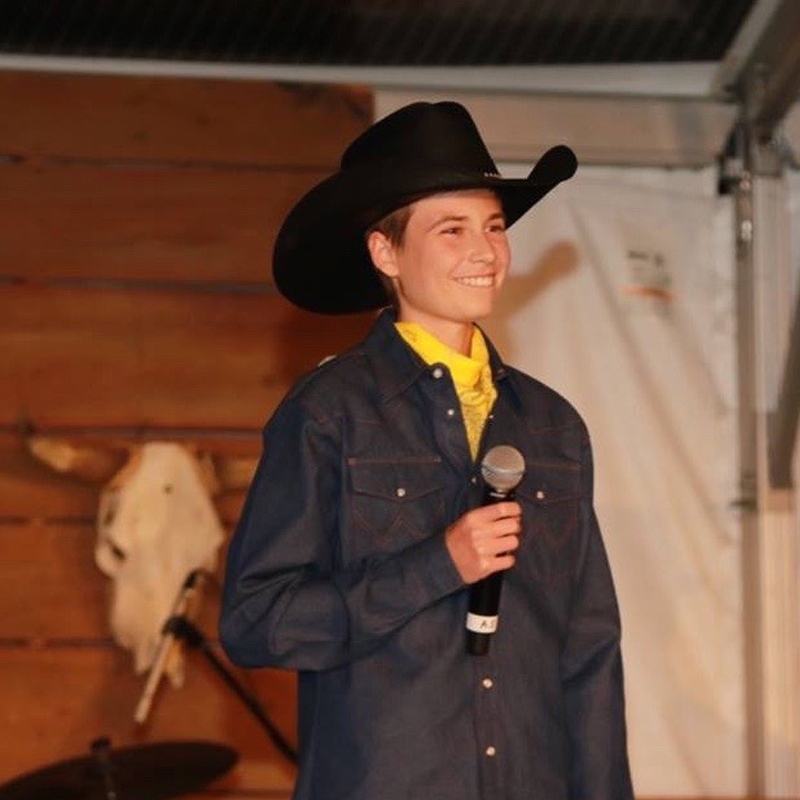 Diagnosed with a brain tumor at 12-years-old, Cole decided to help other kids fighting cancer. Cole Eicher has experienced more in his young 17 years than most people have in a lifetime. His passion is soccer, having played since he was seven. His most memorable experience was traveling to Munich, Germany with his team to play the Bayern Munich U12 team. He has modeled since the age of seven, most notably working in the major motion picture, Dolphin Tale 2. He’s also been cast in commercials and various national and international companies such as Walt Disney, Marriott, Publix, Target, JC Penney, US Polo and Next Directory. At the age of 12, he suffered symptoms of unexplained morning nausea, vomiting and dizziness that lasted for three days, then went away. Six weeks later it came back with a vengeance. He was initially diagnosed with adolescent migraines, But on February 1st, 2014, a MRI determined that Cole had a golf ball sized tumor in his brain. His type of cancer, called Medulloblastoma (Med-you-low blast-oh-ma) was treated with surgery and nine months of powerful, sometimes painful treatment. But Cole remained strong. He endured thirty rounds of radiation to the brain and spine, four months of high dose chemotherapy combined with an autologous stem-cell rescue and transplant protocol. Since his treatment ended in October 2014, Cole still officially shows “no evidence of disease” . However, he will be monitored closely for the rest of his life. Gratitude helps Cole remember what he can do versus what he can’t. He greatly appreciates every effort of support. 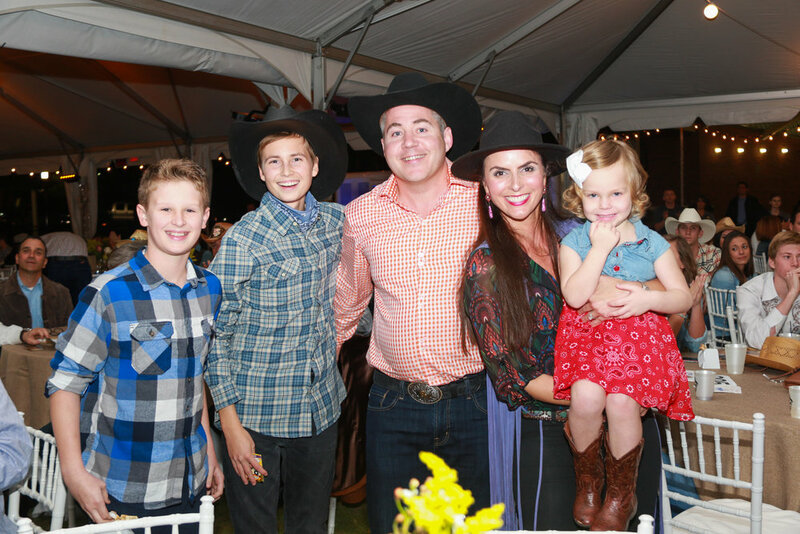 Raised $755,000 dedicated to a pediatric cancer research grant through speaking at signature events such as Cattle Baron’s Balls, Tee Up for Life Golf Tournament, Relay for Life and various athletic activism events. National launch of #GoldTogether Relay for Life teams, October 2018: Created collateral, marketing items and guided execution of program. All funds raised are dedicated to pediatric cancer research and awareness initiatives. Raised $10,000 through a “Foot Golf” event to fund a “Teen Lounge” on the oncology ﬂoor so that teens will have a space to connect and take their minds off of cancer. Monthly visits replenish teen games, books and gifts. Contacted, coordinated and appeared with Nathan Gamble and Austin High-smith, Dolphin Tale 2 actors during their visits to Johns Hopkins All Children’s Hospital. Providing memorable experiences for patients. June 2017 - present: Created pediatric cancer game ambassador program. Families who’s children are battling cancer are given a “Ambassador Package” with stadium tour, behind the scenes information and escorted to meet players after the game. Tours are conducted by Cole and other pediatric cancer ambassadors. September 2018: Raised $80,000 for Johns Hopkins All Children’s Hospital dedicated to the Benjamin Gilkey Fund for innovative research, The Children’s Dream fund and Bay Star Family Retreat. September 2017: Raised $50,000 for Johns Hopkins All Children's pediatric cancer research fund and $6,000 for the National Pediatric Cancer Foundation during Tampa Bay Rowdies #GoldTogether awareness games. September 2016: Raised $101,000 with six North American Soccer teams participating. Johns Hopkins All Children’s Hospital received $76,000 and American Cancer Society $25,000 for pediatric cancer research. September 2015: Raised $65,000 for seven local pediatric cancer organizations with 20 organizations participating. Recognition was given during Tampa Bay Rowdies September games to kids and businesses who donated to the cause. Pass a Grill Beach Goes Pops and St. Pete Run Fest, 2017 & 2018: Inspiring third party event donations to benefit pediatric cancer research and support programs at Johns Hopkins All Children’s Hospital. Collaborating to provide insight, speaking at the event, promotion through social media and hosting pediatric cancer families at the event to further the connection to the cause. Emmy Award Winning Community Service PSA, 40th Annual Suncoast Regional Emmy Awards, Cole’s Relay For Life, Jenesis Creative, Inc.
Voice for the Kids: 50+ Speaking engagements since 2014 from pre-school to pro athletes, podcasts, radio and television.